Nike’s Zoom Fly Flyknit kills two birds with one stone, offering the sporty sole unit from the Zoom Fly SP’s and then combining it with a flexible Flyknit upper. Crafted with a light-cream knitted material, hints of contrast come in the form of a black Swoosh, woven black and red laces, and woven heel tabs. This iteration’s highpoint arrives in a gradient wave — starting off blue by the toebox then slowly transforming to red around the midfoot before fading to white on the heel. Its text branding placed on the medial post and monochrome outsole acts as an ode to the Zoom Fly SP. 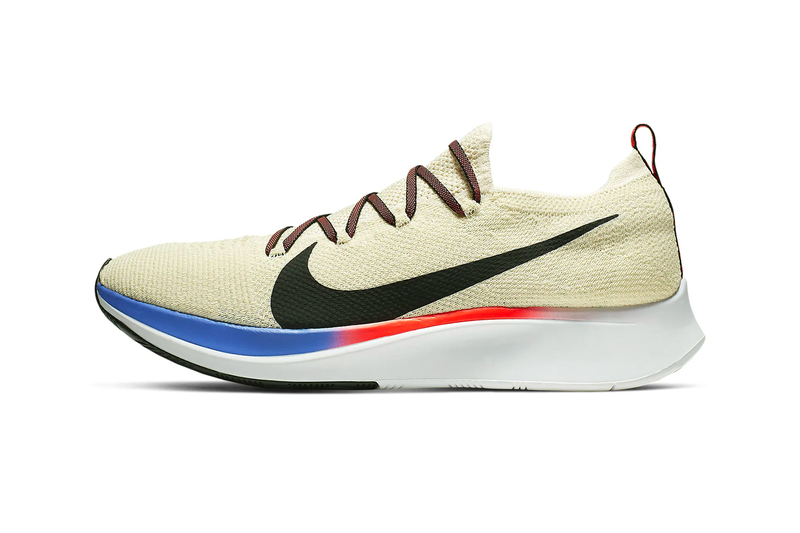 Cop a pair of the new Nike Zoom Fly Flyknit colorway on Nike.com for $160 USD. In other footwear news, the Nike LeBron Soldier 12 Flyease gets a “Bred” makeover.